The Snapchat world is filled with emojis that indicate to users and their friends the type of friendship they have with one another on the social media app. The 13 emojis typically appear next to user’s and their friends’ profile names in the popular app. The emoji’s tell users when they have a new friend, if it’s someone’s birthday, and how long their Snap streak has been going on. The emojis next to the user’s name don't last forever and can change quickly based on how many snaps are sent to the user, and who sends a snap to whom and when. In November, the app launched “Friendship Profiles,” which allows users to see the content friends have saved and shared between another. The new profiles also includes a Snap Map to locate their friend if the user decides to share their location, according to a previous statement from Snap Inc. The app also added Bitmoji Stories, a type of comic strip for users to create using their own Bitmoji in the app. The latest feature can also include their friends in the comics. Hearts: There are four types of hearts on the app: gold, yellow, red and pink. The gold heart next to a user means who the user has replayed their friend’s snaps in the past 24 hours. The yellow heart symbolizes that the user sends snaps to one another often. The red heart means that the user has been “best friends” with the user for two weeks straight, and the pink heart symbolizes that the users have had a snap streak with one another for two months straight. Baby emoji: This means that the user is a new friend recently added to the user’s friend list. Face with sunglasses emoji: This means that a user that sends the most snaps to someone is a friend of another user they send snaps to often. Grimacing face emoji: The user and that friend have a “best friend” in common who they send the most snaps to. Smirking face emoji: This means that the user doesn’t send many snaps to this friend, but they send a lot of snaps to them. Smiling face emoji: A second “best friend” that the user send snaps to often. Fire emoji: This symbolizes a Snap streak with another user. The user typically snaps this person every day and the friend snaps them back. Hundred emoji: This means that a user and their friend have been sending snaps to each other 100 days in a row. Hourglass: This means that the Snapstreak going on with another user is about to end, and it’s the app’s way of sending another to keep the streak going. Birthday Cake: This tells the user that one of their friends on Snapchat is celebrating a birthday! 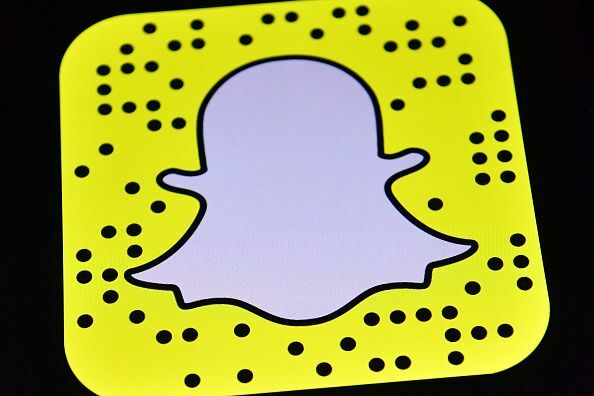 Snapchat 'Could Not Refresh' Message Friday, App Down?